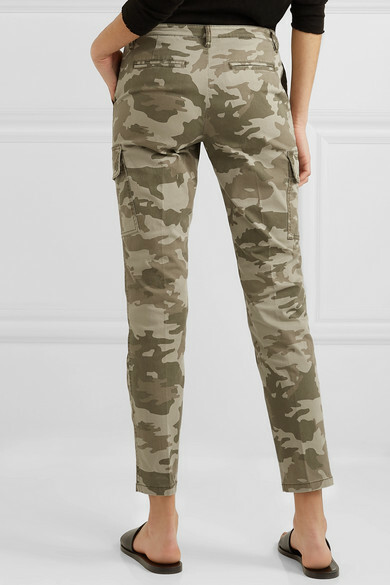 ATM's Anthony Thomas Melillo spends months in the label's factory perfecting the weight, fit and drape of each design. 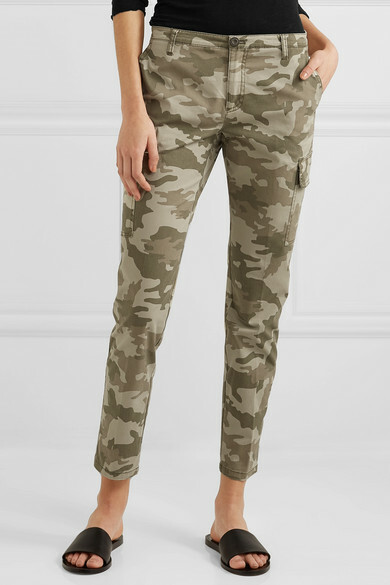 Made from a cotton-blend, these camouflage-print pants are cut with a mid-rise waist and a slim fit through the legs. 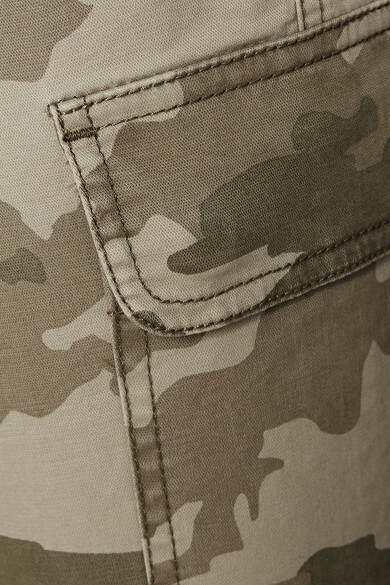 The patch pockets are a reference to traditional cargo styles. They'll look just as cool with sneakers as they will with heels. 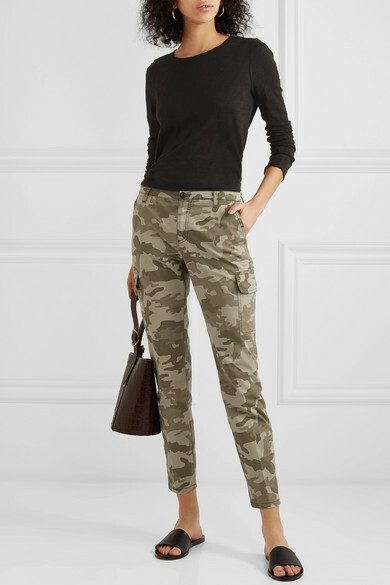 Shown here with: ATM Anthony Thomas Melillo Top, Trademark Bucket bag, Isabel Marant Sandals, Kenneth Jay Lane Earrings.